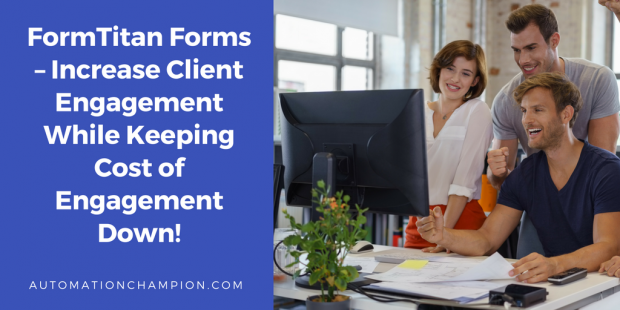 FormTitan Forms – Increase Client Engagement While Keeping Cost of Engagement Down! ** Disclaimer – If you buy FormTitan I will not get any commission. This is just an educational blog post. If you want to buy FormTitan then use coupon code champ2017 and get 10% discount for a lifetime. Touch points between your clients and company can be many and for several reasons – through the corporate website, clients inquire about their order; or, about products and services offered by your company; at times, clients may reach out to your company via email to check on their case status. These touch points can be a double-edge sword – It could be a sign of increasing client engagement with your company; however, if the process is not managed appropriately, it can shoot up the cost per engagement and negatively impact ROI. The trick is to promote a high level of client engagement, while at the same time, keeping down the cost of engagement. The key to achieve these conflicting objectives is to automate client engagement process! Online forms are one of the most popular tools to promote client/partners/prospect engagement with your company while keeping the cost per engagement manageable. As good as this sounds, not all forms are made equal! It could be a cinch to integrate some forms with Salesforce while others may be too complicated. When latter is the case, you have to either manually import data into Salesforce – a recipe for that may compromise data integrity; or, you may have to hire expert help – making the client engagement process cost prohibitive. At other times, some forms may offer one-way integration with Salesforce requiring careful mapping between fields on the forms and on the records in Salesforce. 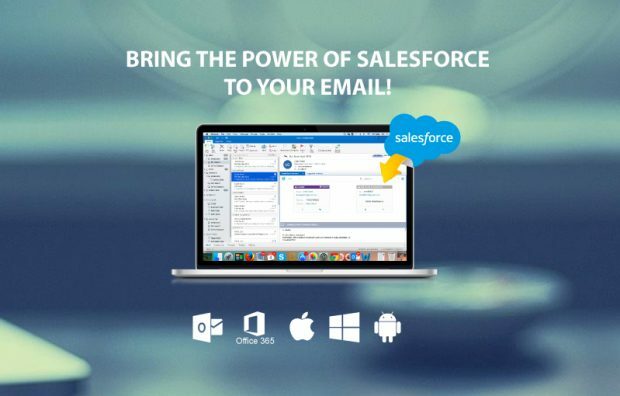 Then there are forms with advanced features and functionalities that allow two-way integration – between Salesforce and your company’s website and vice-versa. To get the best bang for the buck, it is important to understand client requirements and based on that, select, among various available options, the most appropriate type of form(s). Web-to-lead/web-to-case allows you to only capture up to 500 new leads per day from your website. Web-to-lead/web-to-case, furthermore, has one-way integration with Salesforce. It means they can only pass the data to Salesforce. For example, once a case is submitted through web-to-case, you can not allow your clients to view all existing open cases and update their status. Features, such as, generate PDF file once a form is submitted, are not available out-of-the-box. To achieve such productivity, high-level developer skills are needed. Remember, the trick is to promote the high level of client engagement while keeping down the cost of engagement. And, the key to achieve these conflicting objectives is to automate client engagement process! As a connoisseur of client engagement features of Salesforce Platform, I am always on a hunt to uncover apps that promote high level of client engagement, while at the same time, keeping down the cost of engagement. One of the other features that I look for in an app is minimum code usage. While searching for Lead capture (pop-up) form for my website, I stumbled upon FormTitan. The more I explored the app, I unearthed several nuggets. It propelled me to reach out to FormTitan for a full-fledged demo! FormTitan’s representatives were not only highly knowledgeable but, they delivered a pleasant customer experience. FormTitan web forms highlights include – ability to access, populate and update data in Salesforce with relative ease – the form enables a user to insert and update data from any object, attach files or open cases with an easy to use Web Form Builder. The best part is that a user can create dynamic web-forms and generate PDF file. Furthermore, the forms do not require any programming skills – the forms reside purely in the world of clicks! And last but not least, FormTitan enables you to create an endless array of forms and landing pages with a full Salesforce connectivity. To take a deeper dive into FormTitan’s product, let us start with a business use case. Martin Jones is working as a System Administrator at Gurukul on Cloud (GoC). At GoC, they are using a web-to-case OOB feature that allows their customers to create cases. But the real challenge is allowing customers to manage their cases so that they can View, Update or Delete existing cases. Read the rest of this entry! For this blog, I interviewed several Sales representatives, who have been using Smart Cloud Connect for Salesforce, to learn about their experience with the App. They gave me rave reviews. Below is a compiled list of key points that I gleaned from the experiences of representatives with Smart Cloud Connect: Read the rest of this entry!